A saying goes that smile till you have teeth. Undoubtedly, this is a true statement, and people without teeth realize how it feels. It is often difficult to smile even before a photographer as the teeth are not up to the mark. Often they come with yellowish color that bars people opening their mouth. Besides, people develop weak gums, bleeding from gums and many more. Hence, this is urgent to take care of oral health before it is too late. Few tips here will help you have the brightest smile and a comfortable feeling with your teeth. Brush properly – most of the people ignore the matter. They have less interest in brushing their teeth. In fact, they tend to spend less than a minute to brush their teeth. But this habit should be changed. They should brush the teeth with the right angle and brush through the gum line. 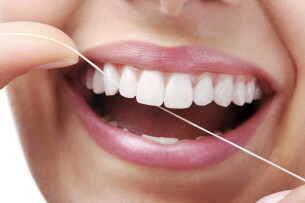 Try flossing – brushing always not clean the inner parts of the teeth. But flossing can do that easily. It helps to clean the unreachable spaces between the teeth. Change beverages – alcoholic beverages are highly harmful to teeth. So, if you have such habits, you should cut them from your life to have a bright set of teeth. Proper diet – calcium plays an important role to keel the teeth healthy. So, if you want to have a good set of teeth, start taking foods enriched in calcium. Milk could be a potential source for filling up the calcium in your body. Brush twice a day – this is a very good habit to brush twice a day. But most of the time, we are unaware of it. As a result, we suffer from unwanted teeth disorders. Brushing twice in a day helps to solve the problem and makes the teeth brighter than ever. Meet your dentists – this is another special idea to meet the dentists because they will help you with necessary tips and tricks to keep your teeth brighter.